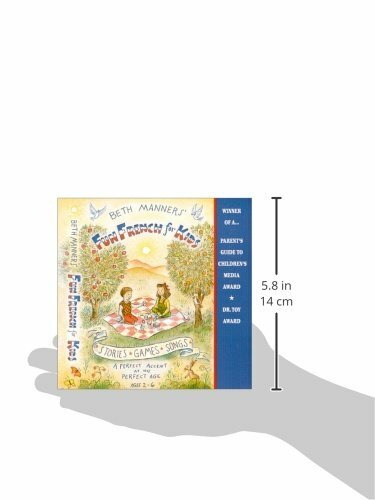 Your 2-6 year old will be entertained by a little French girl Marie, and her new American friend, Bobby. Together, they go on a picnic, meet the Three Bears and learn easy, basic French. Stories, activity games, original songs and zany sound effects make it fun to learn: numbers, food, animals, seasons, weather, verbs and phrases. 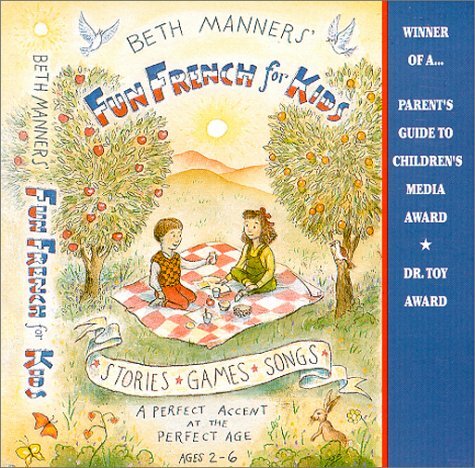 Beth Manners’ Fun French for Kids is the award-winning audio created exclusively to start your 2-6 year old’s brain-building journey into the fun and excitement of speaking French.